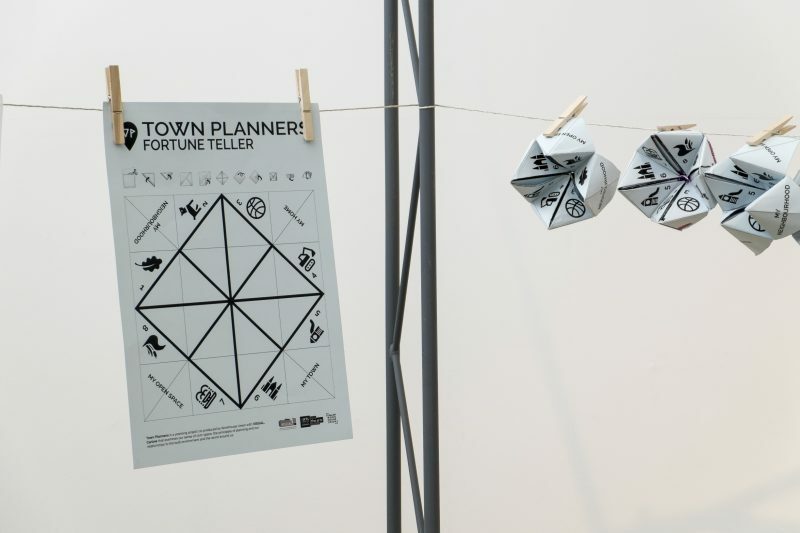 Town Planners is a year-long active programme of design activities co-produced with VISUAL, Carlow. 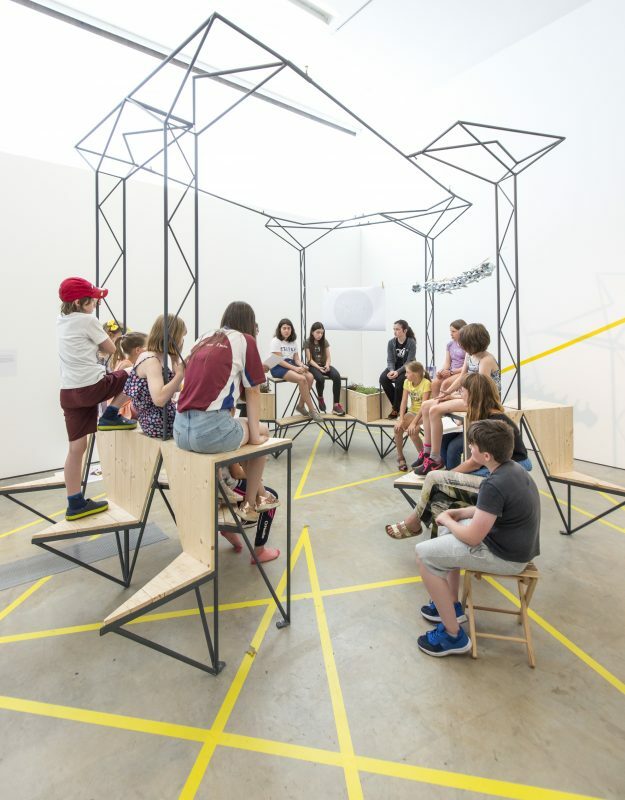 The project examines our sense of civic space, the principles of planning and our relationships to the built environment and the world around us. 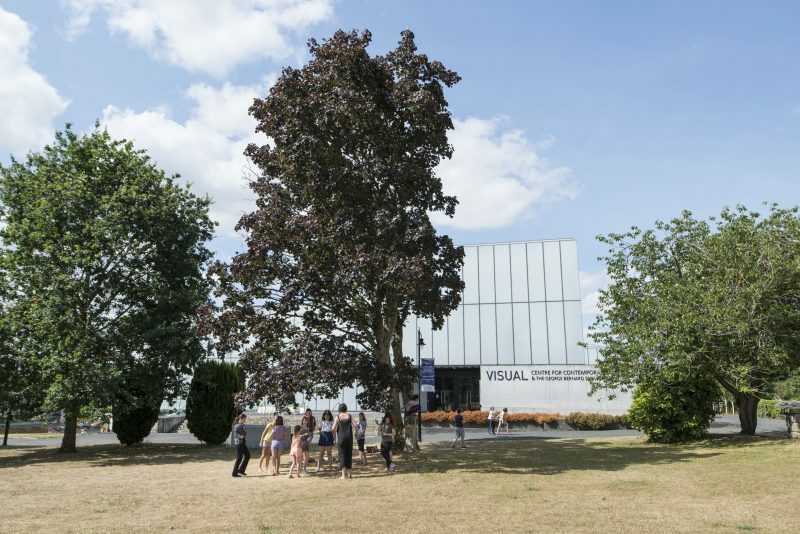 Within the building of VISUAL, The Studio Gallery has transformed over the year. 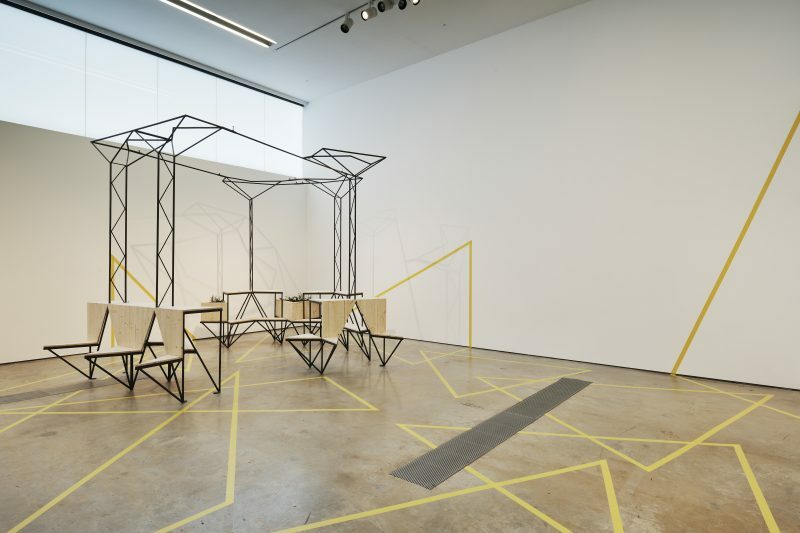 A civic plaza is imagined for lingering, designed by Todo Por La Praxis accompanied by Paul Bokslags’ vinyl floor and wall drawing which takes its cue from road marking patterns. 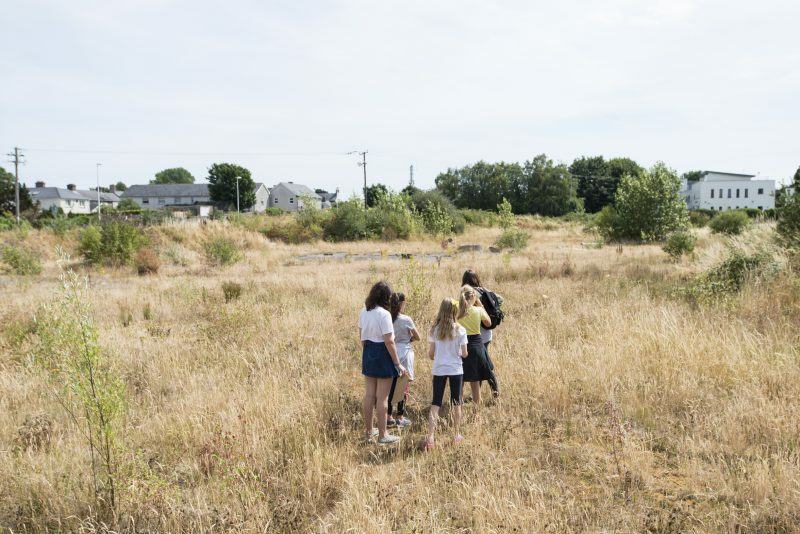 Bí URBAN, a social enterprise based in Dublin’s north-west inner city promotes health and well-being through the imaginative use of currently neglected resources (people, space, materials, systems). 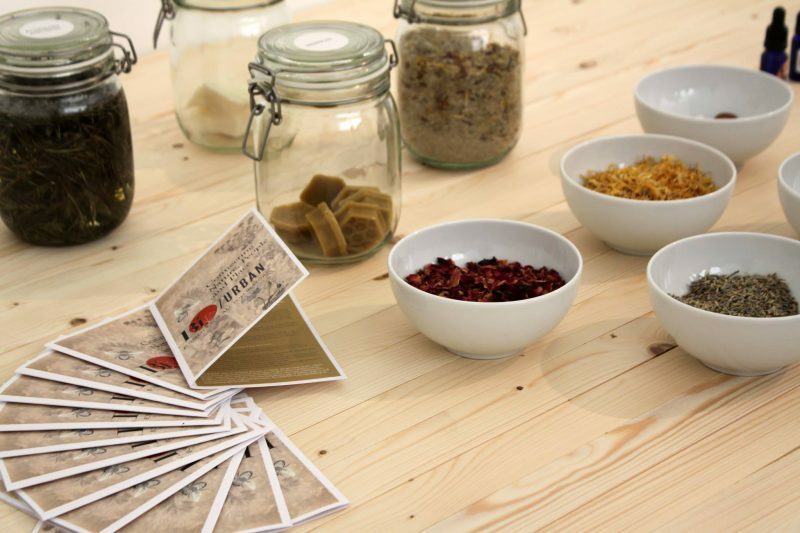 Bí URBAN’s wax and botanical products are presented alongside four versions of beehives and selection of beekeeping objects and knowledge shared by Carlow Beekeepers Association. 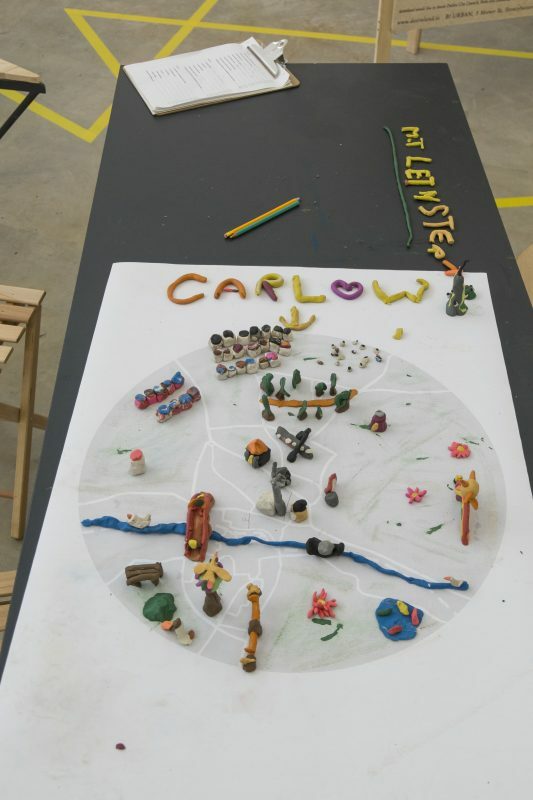 Through workshops in 2017, Studio Weave collected ideas, hopes and stories about Carlow and condensed them into a visual story called ‘My Carlow’, the beginning of a shared narrative for the town. The fantastical story follows the tale of a boy and bird and features six key strengths of Carlow, which are: the River; Innovation; Culture; Green Spaces; Heritage; Location. 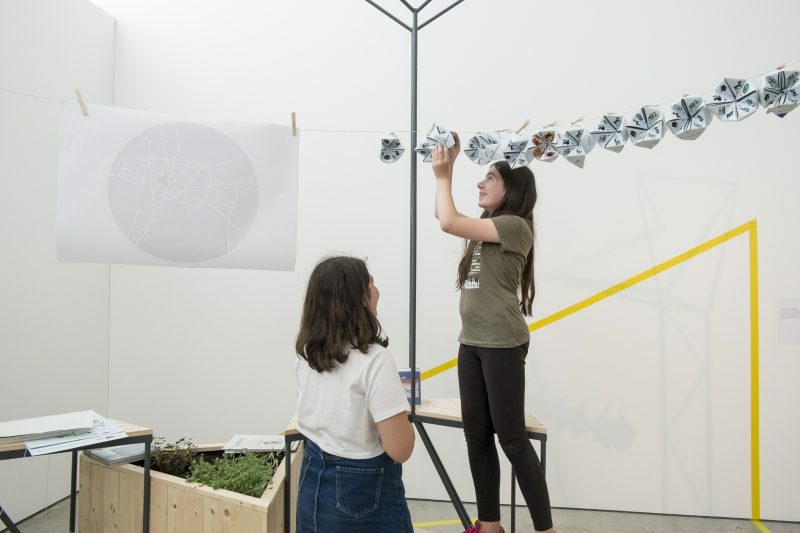 ‘My Carlow’ is further developed through an interactive Manifesto and Map – a series of positive ideas to improve the natural and built environment of Carlow town generated by young people through workshops with schools and a Summer School at VISUAL in July 2018. 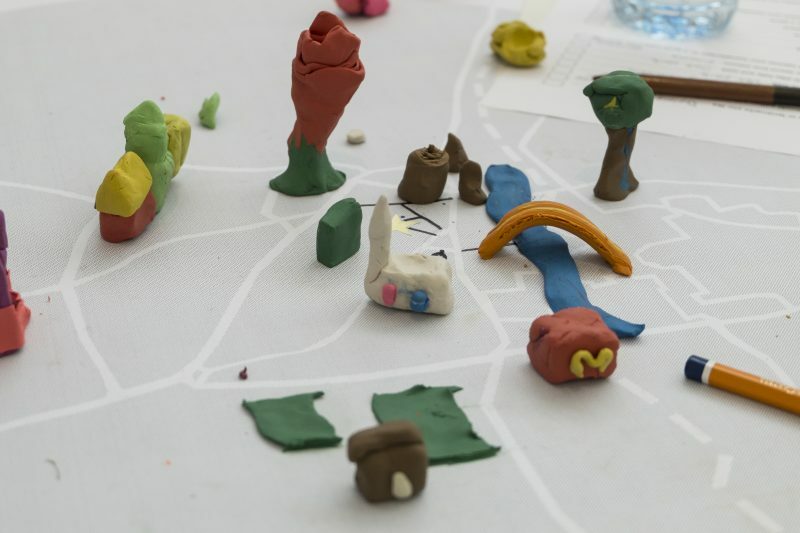 The workshops developed through spatial theatre-games, origami and mapping workshops led by Workhouse Union with Ita Morrissey and Michelle Browne. 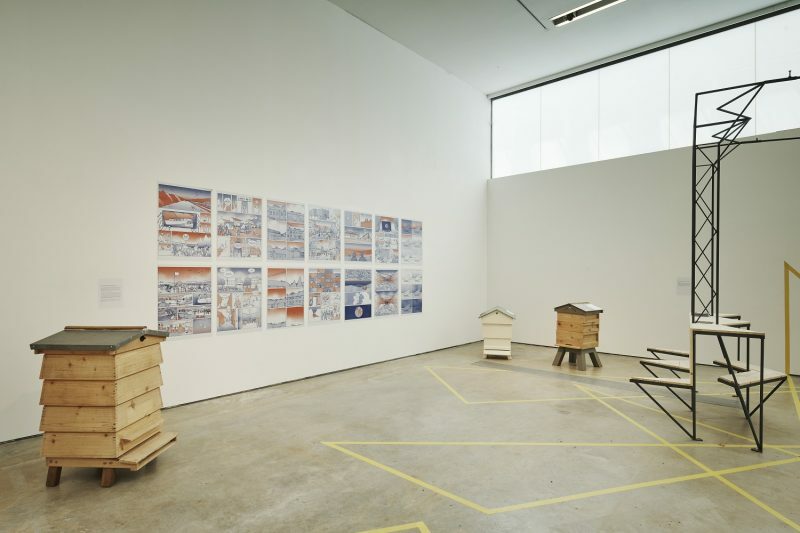 In the upcoming autumn season, artist Ruth Lyons will develop a project exploring natural habitats and shelter within the townscape of Carlow informed by the Youth Manifesto and the knowledge of Carlow Beekeepers Association. 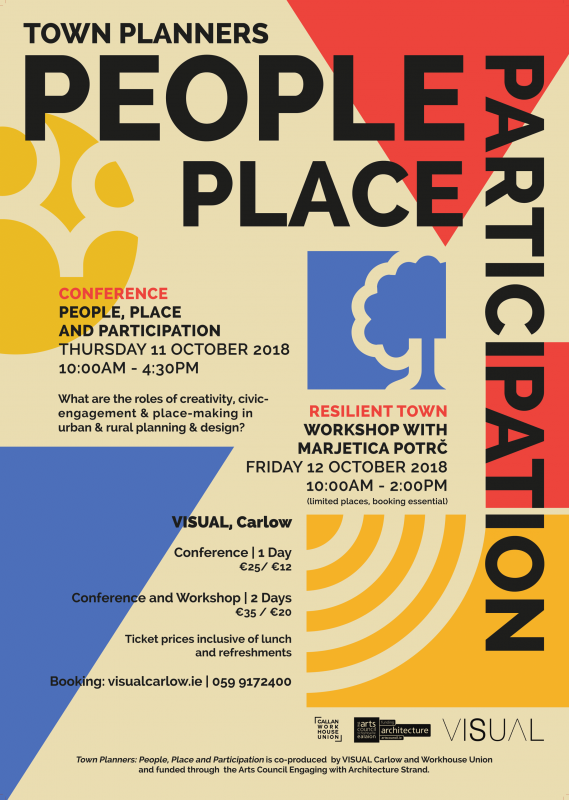 Town Planners includes an international conference on October 11th titled People Place and Participation. 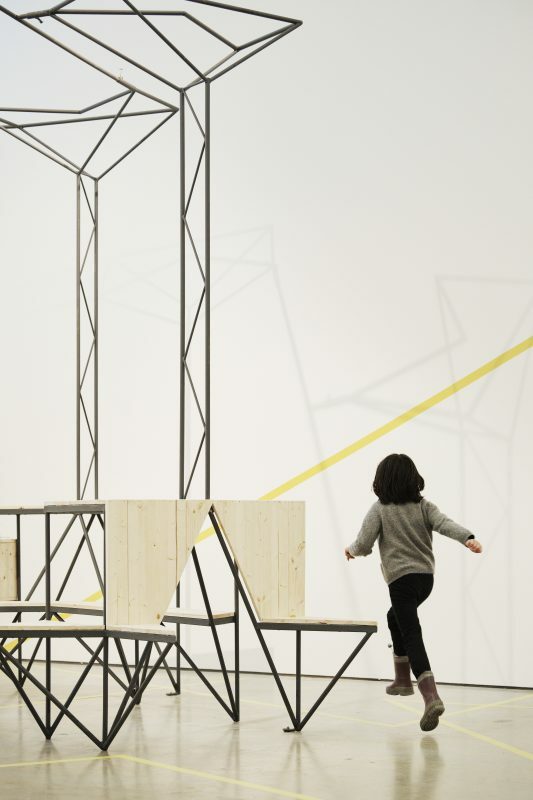 The conference will explore the roles of creativity, civic-engagement and place-making in urban and rural planning and design. 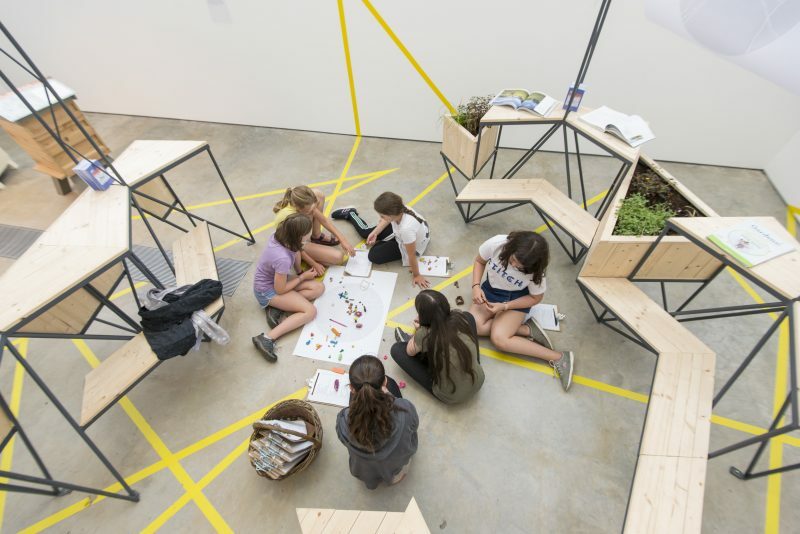 How can local authorities and government agencies work positively with ground-up initiatives, lived-experience and knowledge, and participatory processes to re-imagine and enliven our shared spaces and civic infrastructure. Booking: VISUAL, Carlow. 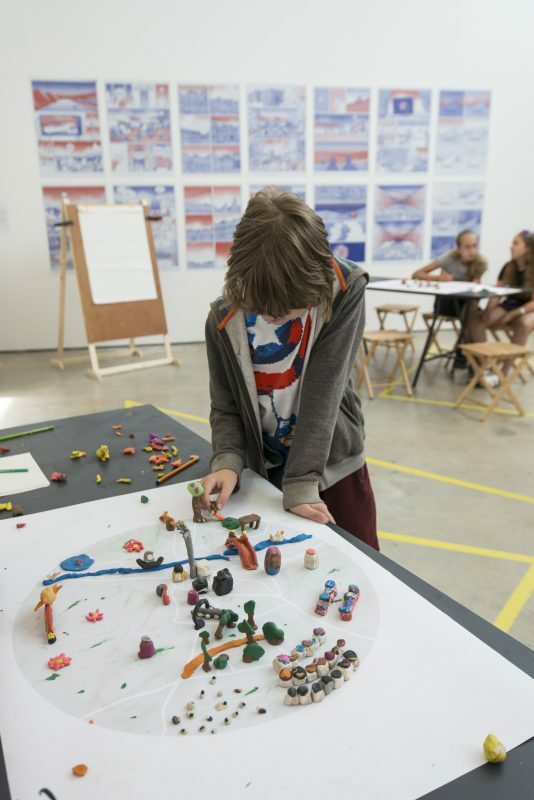 Town Planners is co-produced by VISUAL Carlow and Workhouse Union and funded through the Arts Council Engaging with Architecture Strand.